How should diplomatic historians interpret the role of missionaries, consuls, spies and intelligence agents in international affairs in medieval and early modern times? Due to the overarching shadow of ‘the state’ as the official representative of all things diplomatic, the study of other actors in international relations than state diplomats has been neglected by traditional Diplomatic History. In the Middle Ages and the early modern period, taken together as premodern times, international relations were no monopoly of the state or the sovereign. Many individuals, groups and administrative units and interest groups maintained contacts independently of states and princes and were actors in a wide field of transnational rather than international character. Missionaries of various Roman Catholic orders or of different Christian denominations were working according to their own policies, independently from princes, or in cooperation with them. Consuls representing commercial interest groups supported the interests of merchants and traders. Spies were infiltrating the courts of Europe to secretly gather information. These groups were oriented nationally but not infrequently also transnationally. They acted increasingly as quasi-officials of sovereigns and states to whom they provided services and by whom their mediating position was sanctioned. An expanding multitude of individuals of various alloy was engaged in collecting political information which they offered to sovereigns and others. They often operated on a temporary basis for one prince or client and then for another and were able to provide many types of information for which they drew on a network of international contacts. This conference focuses on the question of how and why these people not formally tied to the state or a prince could occupy a position in international relations. This question is all the more urgent as the last few decades historical research – in the context of the so-called new diplomatic history – has shown that state diplomacy in premodern times has not been overpowering and all-determining for Europe’s international relations. Why were the French consuls of the Ancien Régime not under the responsibility of Foreign Affairs? Where were spies coming from and were they useful? 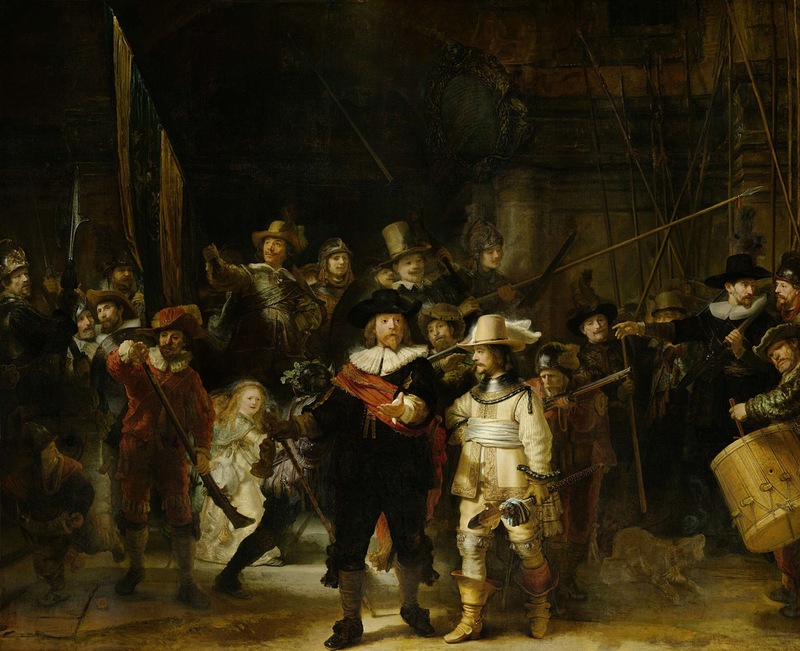 The lecture will focus on Rembrandt’s use of irony, both in his drawing Satire on Art Criticism and in his masterpiece, The Night Watch. Ever since Jan Emmens’s groundbreaking work, it is common to regard Satire on Art Criticism as a rejection of Franciscus Junius’s treatise De pictura veterum. Jürgen Müller tries to argue that the Night Watch presents a critique of the classical art theory of Junius, too. Professor Jürgen Müller holds the chair of Early Modern and Modern Art History at the Technical University of Dresden. He studied art history at the universities of Bochum, Pisa, Paris and Amsterdam. Since then he has worked as an art critic, curator and visiting professor in Berlin, Paris, Bordeaux and Marburg. He has published and edited several books on the Beham brothers, Bruegel, Goltzius, Karel van Mander and Rembrandt. His latest books are Der sokratische Künstler. Studien zu Rembrandts Nachtwache (Brill 2015), Pieter Bruegel d. Ä. und das Theater der Welt (DKV 2014) and Favorite TV shows. The top shows of the last 25 years (TASCHEN 2015). His main research interests include early German and early Netherlandish painting, the art of Mannerism, paintings of the Golden Age, as well as photography and film. The lecture (in English) is free, but visitors must purchase a ticket to the museum at the entrance. Drinks after the lecture are sponsored by Brill. Ter gelegenheid van de nieuwe boekenreeks Rijksmuseum Studies in History en de lancering van de website schrijverskabinet.nl organiseert het Rijksmuseum een symposium rond het thema literaire canonvorming in de vroegmoderne tijd. Het symposium vindt plaats op donderdag 13 oktober 2016 van 15.00-18.00 uur, in het Auditorium van het Rijksmuseum. De canon van de literatuur, de lijst met de belangrijkste schrijvers en werken uit de Nederlandse letteren, houdt geregeld de gemoederen bezig. Lijstjeswoede en canonverkiezingen zijn van alle tijden. In de achttiende eeuw ontstaat misschien wel het meest opmerkelijke initiatief tot canonvorming uit de Nederlandse cultuurgeschiedenis: het Panpoëticon Batavûm, een houten kabinet waarin de portretjes van ruim driehonderd Nederlandse dichters en dichteressen worden opgeborgen. Als Johan Huizinga Fellow deed Lieke van Deinsen onderzoek naar deze unieke verzameling portretten. Haar bevindingen vonden hun neerslag in het eerste deel van de nieuwe reeks Rijksmuseum Studies in History. Daarnaast maakte zij met Ton van Strien (VU) en Timothy De Paepe (UA) de website schrijverskabinet.nl. Hierop wordt een computerreconstructie van het verloren kabinet gepresenteerd. Tientallen onderzoekers uit Nederland en Vlaanderen leverden bijdragen aan de website en introduceerden de schrijvers in het Panpoëticon in toegankelijke lemma’s. Het symposium vindt plaats in het Auditorium van het Rijksmuseum, van 15u tot 17u. Na afloop wordt een borrel geserveerd. Deelname is gratis. U dient uw komst te bevestigen via dit e-mailadres. Aangezien de ruimte beperkt is verneemt het Rijksmuseum graag met hoeveel personen u komt. U kunt zich aanmelden tot 1 oktober 2016.